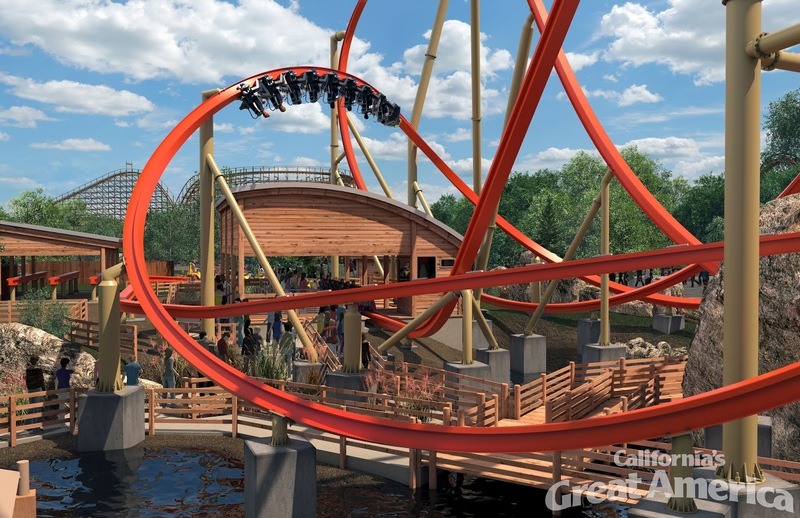 California's Great America unveiled their newest attraction in 2018 known as "RailBlazer," Initially teased as "Project SR1". 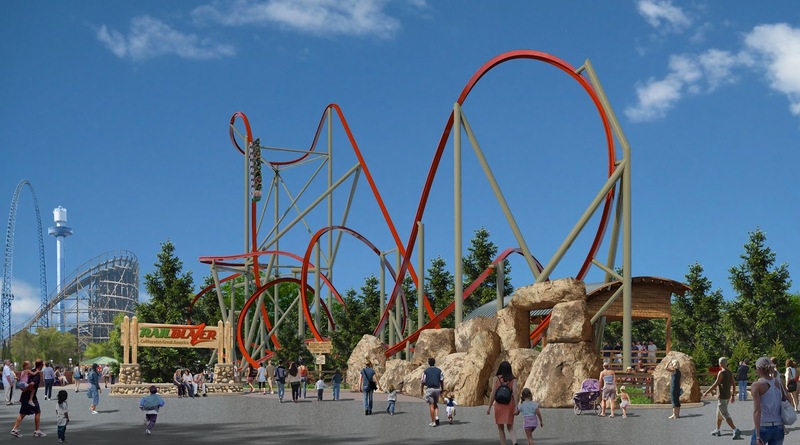 RailBlazer will be among the first Rocky Mountain Construction Single Rail "Raptor" coaster coinciding with another of the same model at Six Flags Fiesta Texas. 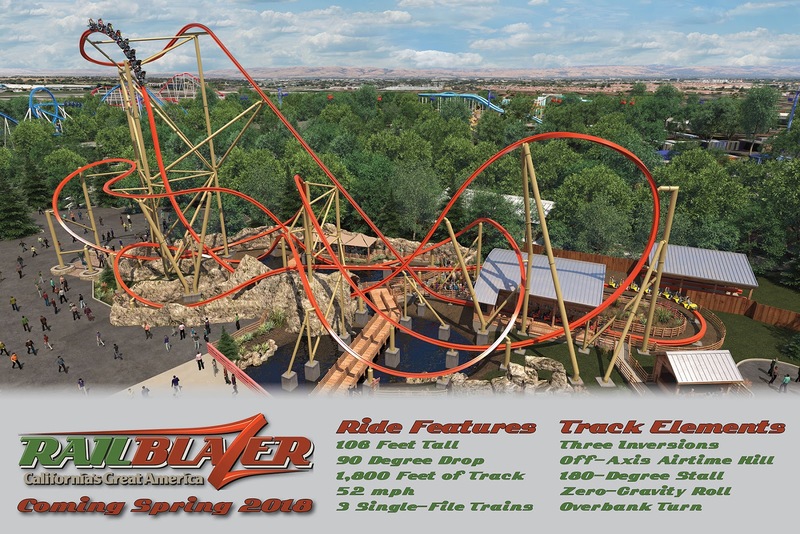 RailBlazer takes riders on a twisted adventure with a 90-degree drop through a cave, 3 different inversions including a "late raven turn," an overbank stall, and a zero-g roll, and several drops and tight turns. Riders sit single file straddled over a single 15-inch-wide rail with no riding buddy at either side of them, just the open air. RailBlazer is inspired by the scenic State Route 1 drive along the California Coast. It all began when the park placed a random stake in the ground reading "Project SR1" with some tire tracks leading up to it. People began to speculate its meaning, some guesses included a highway theme with a car wreck (as an SR1 is a traffic accident report in California). 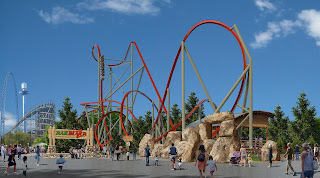 SR1 was also guessed as "State Route 1" and more awkwardly "Surf Rider 1" (given one of the reasons was that people were speculating Cedar Fair would be working with Intamin with this "renewed relationship with a manufacturer they worked with in recent history). Gradually, several fans began to speculate the possibility of "Single Rail 1". and "Happy Campers" Charlie Brown, very fitting! For the duration of the past month the park had set up a construction wall and painted a road map featuring several "stops" in which every other day, a coaster would be placed reflecting the park's timeline, leading up to the big reveal. Below is a list of all the coaster illustrations leading up to the big reveal. 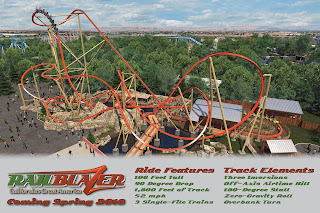 RailBlazer will be located partially where Invertigo once stood, mainly the lift hill portion. The rest of the ride will take over where the Hometown games currently reside (in front of First Aid). We were pleased to see the theming and synergy with surrounding area including the neighboring "White Water Falls" and as much as the rock work is missing, the Demon coaster.